There is still more sad news to report today. 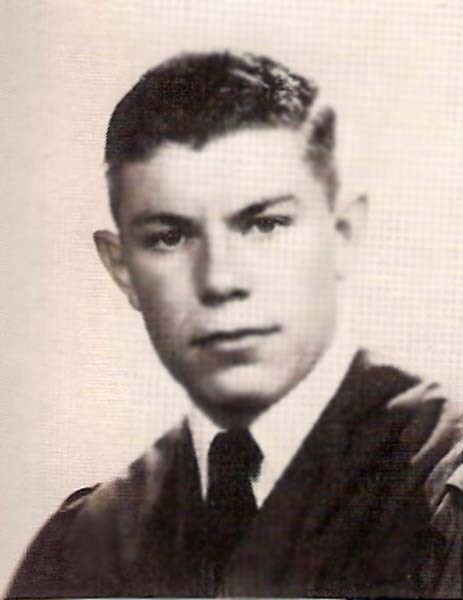 James Hunsucker, Class of 1956, brother of Wayne Hunsucker and Paul Hunsucker, passed away in Williamsburg on Saturday, August, 2016 at the age of 78. WILLIAMSBURG, VA - James Laughridge Hunsucker, 78, of Williamsburg, formerly of Newport News passed away August 6th, 2016. James was a sales representative for Monroe and for Powers Business Machines. He graduated from Newport News High School and the College of William and Mary (Class of 1962). He is survived by his loving wife of 46 years, Martha Bien Hunsucker; his son Steven Hunsucker; two brothers Wayne and Paul Hunsucker; and numerous nieces and nephews. A graveside service will be held 2 p.m. Tuesday, August 9th at Cedar Grove Cemetery, Williamsburg, VA. In lieu of flowers, memorial donations may be made to the William & Mary Athletic Department, Box 399, Williamsburg, VA 23187, Respite Care of Williamsburg United Methodist Church, 500 Jamestown Road, Williamsburg, VA 23185, or Temple Beth El of Williamsburg, 600 Jamestown Road, Williamsburg, VA 23185. Tributes may be posted at www.vincentfh.com. View and post condolences on our online guestbook at dailypress.com/guestbooks. Published in Daily Press on August 9, 2016. Thinking of the family during this difficult time. I am so sorry to hear he passed. I enjoyed taking care of him. My thoughts are with the family. Him and I had some good times together. He called me his angel. Martha, so sorry for your loss. Peace be with you. Our sincerest sympathies are extended to James' family, friends, and classmates at this difficult time.